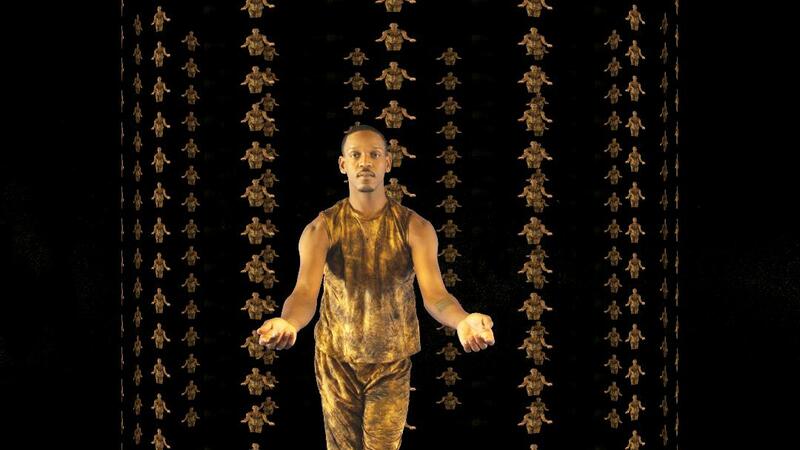 Award-winning choreographer/filmmaker MIMI GARRARD returns to New York Live Arts with “Mimi Garrard and Marcus Jarrell Willis” in a program of live dance and video, including one world and one USA premiere, Sunday November 11, 7:30 PM, at New York Live Arts, 219 West 19th Street. Willis was an eight-year member of the Alvin Ailey American Dance Theater and dancer and choreographer for Ailey II, and is currently choreographing a work for the Juilliard dancers. The program will see the U.S. premiere of “Travelling Man,” choreographed and performed by Marcus Jarrell Willis, a lighthearted solo that received its world premiere at the recent Cardiff, Wales festival. Willis will also be seen in Garrard’s “I Celebrate Myself,” inspired by the poem “Song of Myself” by Walt Whitman. Direction, sound and video are by Garrard. MIMI GARRARD studied and danced with Alwin Nikolais, who produced her concerts at the Henry Street Playhouse for ten years. In collaboration with James Seawright, Garrard’s work was commissioned for CBS Camera Three and WGBH Boston TV. She has created more than ninety works for the stage that were performed throughout the U.S. and South America, and in 2017 alone, participated in dozens of international film festivals, most recently in Venezuela, India and Argentina. Among Garrard’s numerous awards are two choreography grants from the National Endownment for the Arts; a Best Choreography Award in a Bristol, England festival; a Best Experimental Work Award at Toronto festival, and a Lifetime Achievement Award from the Institute of Arts and Letters in Mississippi for her outstanding achievement in dance both for video and for the stage. Ms. Garrard hosts a half-hour monthly TV show on MNN in New York that is streamed live at the time of broadcast (almost 200 programs to date). MARCUS JARRELL WILLIS moved to NYC from his native Texas to study on scholarship at the Ailey School. The dancer/choreographer is a recipient of a Level 1 ARTS award from the National Foundation for Advancement in the Arts and was offered scholarships to many schools, including Juilliard. He subsequently danced with Ailey II, which also commissioned his choreography, and with the Alvin Ailey American Dance Theater from 2008 to 2016. Other commissions include Company Danzante, the University of Minnesota, and Satellite Collective. Most recently, Marcus produced a full evening of his choreographic works and is currently choreographing a commissioned work for the Juilliard dancers.